Every year in September, our club celebrates with the "Star-B-Que" barbeque potluck. This potluck is only open to members and their families, and typically begins at around 5:00pm. The Star Party afterwards, however, is open to the public (like all of our Eastman Lake star parties). 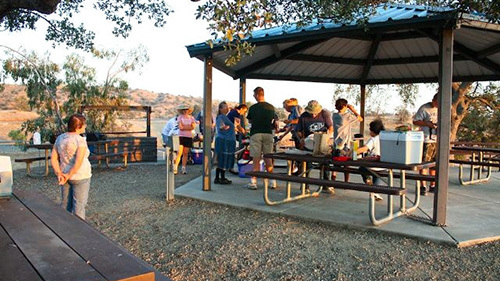 We typically travel from the barbeque location to our observing location at around sunset.